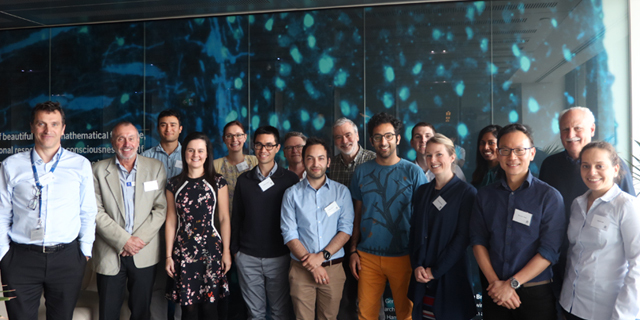 SPARK Melbourne – a 12-month program to upskill researchers in the early stages of commercialisation with milestone-based funding and mentoring – kicked off in November 2018 with a boot camp for six teams from MDHS. The boot camp was facilitated by Professor Michael Wallach (Director of SPARK Sydney, SPARK Oceania) and Ms Samira Aili (UTS), and focused on creating project development plans to establish the milestones to be achieved over the year. Budding innovators were also able to participate in a TRaMx workshop run by the University’s research impact accelerator Translating Research at Melbourne (TRaM). Held over two and a half days between 20 and 22 November, TRaMx allowed MDHS researchers to learn how to enhance their entrepreneurial mindset, build commercial networks and engage with customers. The founder of the SPARK program, Professor Daria Mochly-Rosen from Stanford University, visited Melbourne in November 2018 and met with the Faculty’s senior leadership including the Dean Professor Shitij Kapur. Professor Mochly-Rosen gave an inspiring presentation on how the SPARK model for translational research has proven to be very successful in facilitating the translation of research discoveries into novel therapeutics or diagnostics not only at Stanford but globally. SPARK is now a global program, being rolled out in almost 20 countries. Stanford SPARK has a 60% success rate defined as projects either entering into a clinical trial, a patent licensed, or start-up formed. SPARK Melbourne and Monash teams also had the opportunity to talk with the founder about their projects at a joint meeting that same day. To wrap up an eventful end of the year for SPARK Melbourne, SPARK Melbourne teams pitched their projects at the inaugural meeting in December and received critical feedback on their developmental plans and proposed milestones from internal and external academic and industry advisors. With research translation a significant part of the future of health and medicine, the Faculty is keen to support talented staff and students by connecting them to peers, mentors and industry experts through initiatives such as SPARK Melbourne to help them develop ways to translate their research to benefit patients and the community. Keep an eye on the Faculty’s Innovation and Enterprise webpage and SPARK Oceania for opportunities as we continue to grow and build our activities for the future.